The 2004 Bakken Oilers team has a strong core roster. Given the tremendous interest from elite players around Western North Dakota and the Twin Cities area, this team is by invite only. If you are interested in a spot on the team, should one open, contact team manager Jennifer Moore. She will work with the coaching staff to see if they could watch your player in a game during the regular season. 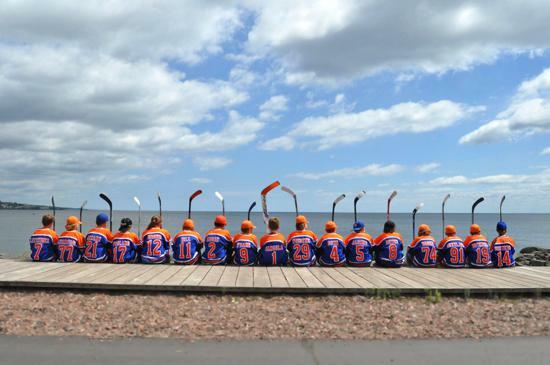 The 2004 Bakken Oilers are gearing up for their 2nd season with Bakken Oilers AAA Hockey. The team has many returning players from last season, and a few new faces. The 04 Oilers ended their first season with a Championship from the Battle for the Blue Line Tournament held by the Junior Islanders in East Grand Forks. They are looking to start their season on the same high note in which last season ended. With years of coaching experience and some of the hardest working kids from North Dakota and Minnesota, they are headed in the right direction.